What would you see as the WORST LBT song that the LBT creators have ever made? For me, it would be "The Lesson" out of all of them. Sure, it made a good point of "You're never too old to learn" and all, but I feel that Mr. Thicknose kind of ruined it. I'm just glad that they changed his voice to something more enjoyable when he sings. Not to mention that it really doesn't feel like a song at many different points. Yeah, the music is there, but the lyrics feel like they move by a bit too fast to work properly. I'd say that it's the worst one they ever did, and was probably what nearly killed LBT. If LBT 9 didn't come in to save the franchise, LBT wouldn't be as popular as it is now. So hands down for me, "The Lesson". Well, take it away, guys. Flip flap and fly. It was so lame and horrible. The lyrics sounded like they were put together in five minutes and all of the voices sucked really bad. Everyone sounded like they had a cold! I can no longer watch it because it makes me doubt my loyalty to lbt. I think they just put this song in there because they needed another one. The other two songs in lbt 12 were great. In fact "things change" was my absolute favorite of all the lbt songs. Yea I agree. my fav would have to be always there. "The lesson" sure is a candidate for the rank of the worst song. "Who needs you?" may be another one (though I may be influenced by the fact that the German translation is worse than the English version). It's no contest for me. Hands-down the worst song has to be "Oops-Eeps". Canyon of the Shiny Stones now feels tainted because of it. Oh, and Flip Flap and Fly, Adventuring and Big Water FTFW! Adventuring and big water are some of my favorites! I agree with you on the oops-eeps one though. That one made me SICK! "The Lone Dinosaur." I have nothing against country music, its one of my favorite genres, as a matter of fact, but... IT HAS NO PLACE IN A 'LAND BEFORE TIME' MOVIE!!!!!!!!!! I have so many favorites but I have some hated ones as well. I agree with absolutely everything you said dash. Eggs has to be the only one I dislike the most, it don't really have that much motion it for me, the others I am alright with, one of my latest favs is Flip Flap and Fly, but nothing can beat Friends on LBT 10, that has to be the best song ever. Who needs You? was pretty unnecessary, "oops-eeps" was childish, andThe "lsson was pretty bad.. Frankly, I'm not a fan of the kids breaking out into song, this should be an adventure, not a musical.. I love the songs. As long as they've got a good rhythem to it and stuff I love them. But I love Musicals so that's a bit different . I hate songs that aren't called for though like singing the same song with different lyrics. I know what you mean, Dash. At first I actually liked "I Feel So Happy". However, it soon died out and it's getting difficult for me to go through the whole song and give the lyrics to Action9000 and so that he can one day put them up on his website for us all to enjoy. I feel that the TV Series has nearly killed Adventuring. It should be illegal to hear any remakes of it. The original seems to be the only one I like now. There is one song that I hope they do air, but don't change. If they do change it, I hope the changes are so minor that they hardly make a difference. 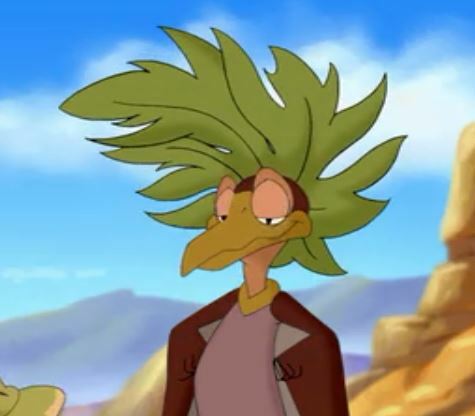 (Like changing a Petrie "me" to a Littlefoot/Cera/Ducky "I", something along those lines.) I just don't expect it until the final episode, where they, hopefully, say goodbye to Ruby and Chomper. Can anyone guess the one I fear they will ruin? The Lesson is the worst. Like Nick said earlier, unless the title is LBT: The Musical, maybe songs just ought to stay out of it for the heck of it. You think there shouldn't be any songs at all in LBT? I guess the good ones are worth taking the bad ones into account. If it wasn't for the songs in LBT we wouldn't have some of our most interesting community projects. Started by OllyDirectioner on Sound Off! Which LBT song is your theme song?